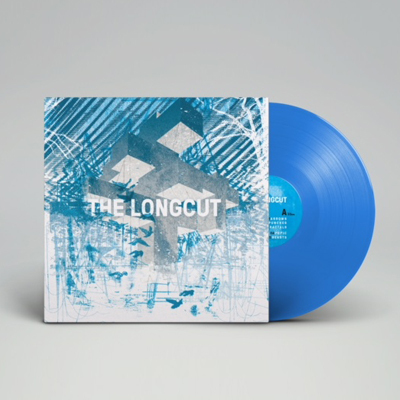 Somewhere between utopia and dystopia The Longcut have constructed their own monolithic world. Impossible to place but undoubtedly familiar, on their new record Arrows, Manchester’s sonic architects have carved out their own Upside Down within the crevices of the North; sublimely sweet, bittersweet and bleak, where concrete blockades loom large, but songbirds emerge from clouds overhead. Chiselled from chopped up loops, original demos, welding together long improvisations then building, re-recording and fine-tuning, Arrows captures many moments in time. Not least, the whisky-fuelled home recording sessions where kitchen shelves were rearranged to re-amp bass parts at full volume and bedrooms were transformed into control rooms strewn with amps and microphones. It may have taken its time, but throughout the record’s walls of sound, tortured beauty lies within; “You can go from nothing to something very quickly when you eventually get going,” says guitarist, Lee Gale. Whilst previous albums A Call and Response (2006) Open Hearts (2009), and 7-track EP Broken Hearts (2010) were formulaic in structure, Arrows was formed from the rolling approach of no clearly-defined beginning, middle or end. Through its single-word titles which stack upon each other like steel girders, order is brought to the recordings, mixed by studio boffin and The Earlies live guitarist/multi-instrumentalist Tom Knott, who provided ‘Popic’s live brass sounds. “He transformed our sprawling recordings into a coherent whole and his contribution is one of our favourite parts,” Jon says. Meanwhile on the sleeve, Arrows takes its shape with angular artwork created by long-time artistic collaborator Liam Palmer. Raw, brutal, pounding the senses and always from the heart, The Longcut are ready to launch Arrows into 2018’s bleak and beautiful horizon.